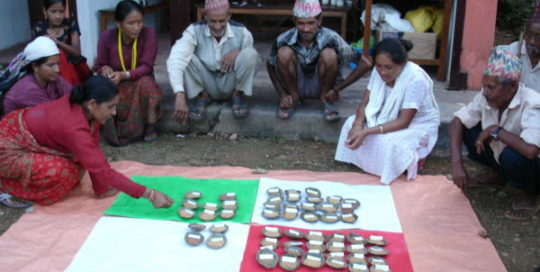 What do we mean by food diversity? 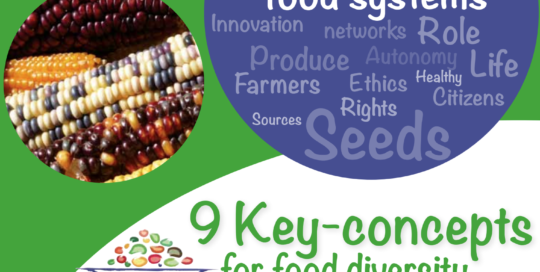 Nine key-concepts were developed together with all partners involved in DIVERSIFOOD. These definitions integrate practical and theoretical ideas, and natural science and social science perspectives. 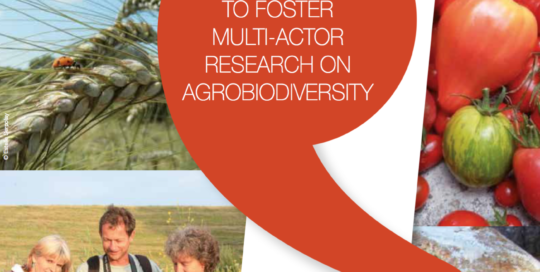 This toolkit provides building blocks for a multi-actor approach applied to participatory plant breeding and action research with the aim of embedding agrobiodiversity in food systems. 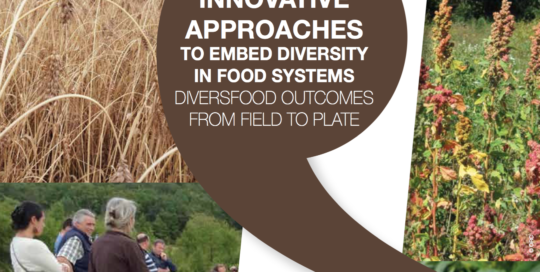 It results from a wide range of experience developed within the DIVERSIFOOD project to boost cultivated diversity for organic and low-input agriculture and from the collective reflection of all the project partners. 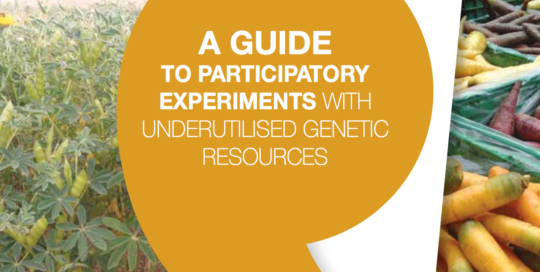 This booklet is a guide to creatively think about planning and conducting participatory evaluation of underutilised genetic resources, to increase crop diversity in sustainable farming and food systems. The document is available on Organic Eprints. 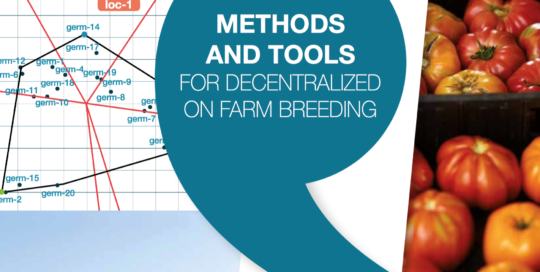 This technical booklet describes experimental designs and statistical methods and tools that are relevant for decentralized on-farm breeding, according to the objectives and the experimental constraints of the breeding program and the farmers’ group. 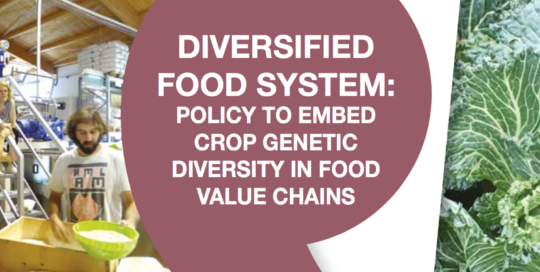 This booklets presents policy recommendations to embed crop genetic diversity in five different areas of action. The document is available on Organic Eprints. Using the multi-actor approach, DIVERSIFOOD supports the dissemination of a new food culture, based on diverse, tasty and healthy food. 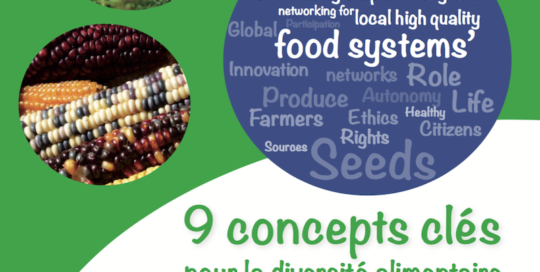 This booklet presents and describes 10 novel ideas and approaches that support innovation embedding diversity in food systems from the field to the plate. The document is available on Organic Eprints. 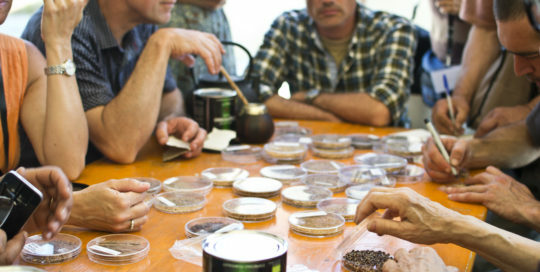 How to better embed crop diversity for resilient sustainable food systems? 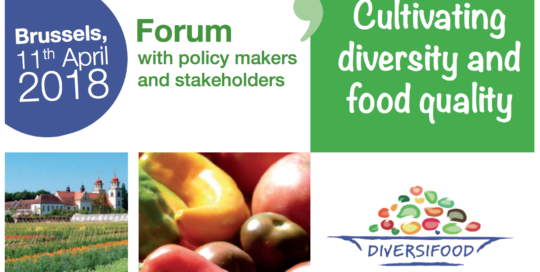 On April 11th, the DIVERSIFOOD Forum with policy makers and stakeholders addressed this and other fundamental questions to promote cultivated biodiversity. Here you can find the Proceedings. Qu’entendons-nous par diversité alimentaire ? Neuf concepts clés ont été dé- veloppés par tous les partenaires de DIVERSIFOOD. Ces définitions intègrent des notions pratiques et théoriques, ainsi que des perspectives en sciences naturelles et sociales. ¿A qué nos referimos con diversidad alimentaria? 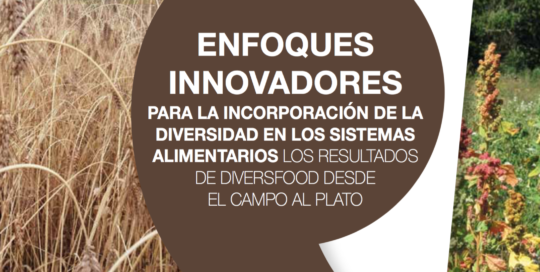 Los socios implicados en el proyecto DIVERSIFOOD han desarrollado conjuntamente nueve conceptos clave. Estas definiciones integran ideas teóricas y prácticas, desde perspectivas de ciencias naturales y sociales. O que queremos dizer com diversidade na alimentação? 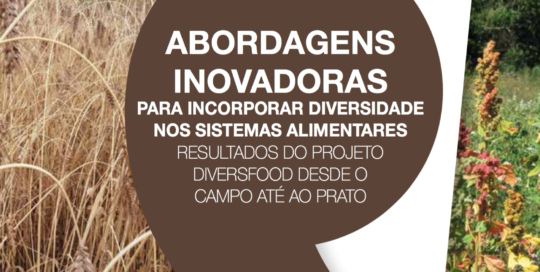 Todos os parceiros do DIVERSIFOOD desenvolveram em conjunto, nove conceitos-chave. Estas definições integram ideias práticas e teóricas, bem como as perspetivas das ciências naturais e das ciências sociais. Cosa si intende per diversità alimentare? 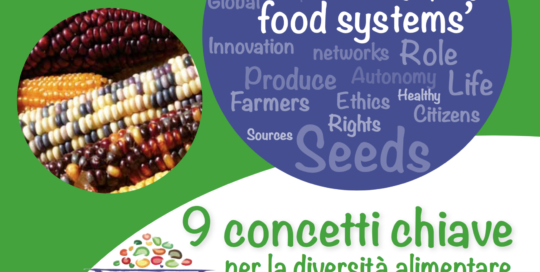 Tutti i partner coinvolti nel progetto DIVERSIFOOD hanno identificato nove concetti chiave. Queste definizioni integrano le pratiche, ma anche le visioni proposte dalle scienze naturali e sociali. Was meinen wir, wenn wir von Lebensmittelvielfalt sprechen? Um eine Antwort auf diese Frage zu geben, wurden gemeinsam von allen an DIVERSIFOOD beteiligten Partnern neun Schlüsselkonzepte entwickelt. Diese Schlüsselkonzepte beinhalten Ideen aus der Praxis und der Theorie sowie Perspektiven aus den Natur- und Sozialwissenschaften. Mit értünk élelmiszer-sokféleség alatt? A DIVERSIFOOD projekt keretében 9 alapgondolat fogalmazódott meg. Ezek a definíciók gyakorlati és elméleti ötleteket, illetve természettudományos és társadalomtudományos megközelítéseket foglalnak össze. 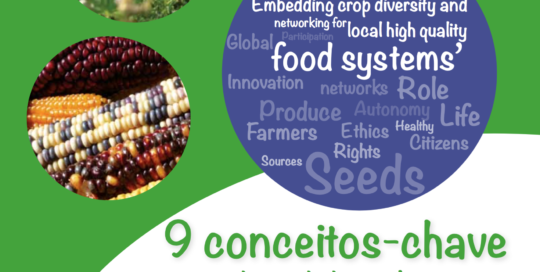 Este folleto expone y detalla 10 ideas y enfoques novedosos para apoyar la incorporación, mediante la innovación, de la diversidad en los sistemas alimentarios desde el campo hasta el plato. 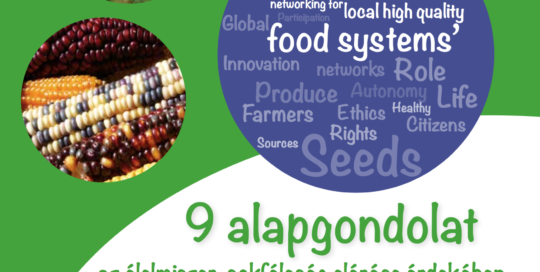 Este folheto apresenta e descreve 10 novas ideias e abordagens que apoiam a inovação, incorporando a diversidade nos sistemas alimentares, desde o campo até ao prato.